1. Preheat your oven to 350 degrees and line an 8×8 or 9×13 baking pan with foil and spray with non-stick cooking spray. 2. Prepare the box brownie mix according to packages directions. 3. Spread about 1/4 of the brownie batter into the bottom of your baking pan. 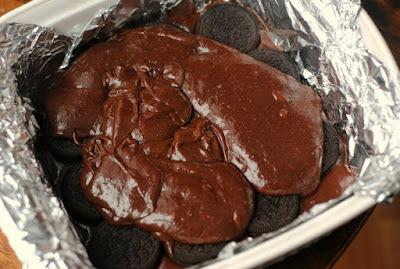 Next, place Oreos side by side on top of the brownie batter (see photo). 4. 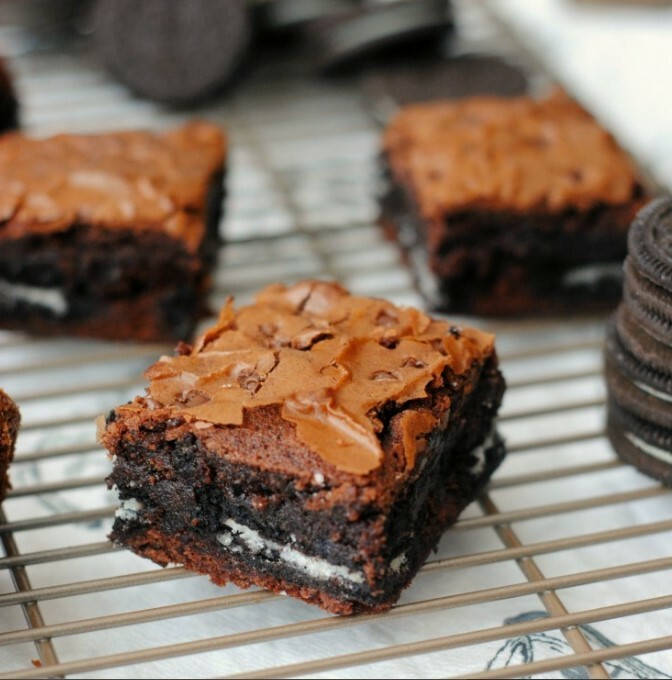 Once the Oreos are in the pan, gently and evenly spread the rest of the brownie batter over the top of the Oreos (see photo). 6. If baking in an 8×8 pan, bake 35-40 minutes. If using a 9×13 pan, bake 25-30 minutes. 7. Remove from the oven and allow the brownies to cool completely before cutting into squares.